HCM CITY – The Ministry of Agriculture and Rural Development is working with authorities to prevent the infiltration of the fast-spreading African Swine Flu into Việt Nam. African Swine Flu (ASF) is a contagious disease which affects pigs. Although not dangerous towards humans, the near 100 per cent mortality rate, ease of spread and the virus’s resilience makes the diseases very deadly. The disease, which has no cure, has affected 19 countries. In China, from August to November, more than 70 cases of infection were detected. 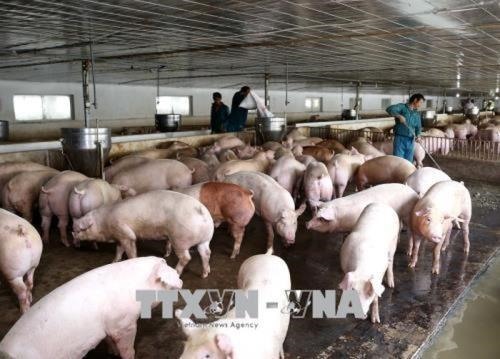 Nguyễn Văn Long, head of the epidemiology department of the Department of Animal Health, said that Việt Nam faced a high risk because of the transporting and smuggling of pork products of unclear origin from regions affected by ASF (especially in the northern border regions). In November, the Ministry of Agriculture and Rural Development issued an emergency action plan to deal with the rising threat of ASF entering Việt Nam, especially as the disease in China began moving southward. Inspection teams were formed in provinces that are along the border, have a high concentration of pigs, or have a high number of visiting tourists. Closer monitoring is being employed to combat smuggling, selling and gifting of pork and pigs of unclear origin, while processed pork products bought from countries with ASF are being examined thoroughly. Imports of pork from countries with ASF have been suspended, while farms, markets and slaughterhouses are expected to be frequently sterilised. In addition, farms have to apply strict bio-security standards, with vehicles or people properly sanitised before entering or leaving farms. Properly equipped labs to test for ASF from pig samples have also been set up. Farmers and veterinarians are monitoring ASF to detect if there are signs of possible ASF, pork products of unknown origin, or pigs dying of unknown causes. They are also expected to retrieve samples for testing before disposing of the pigs or pork products. Authorities have been told to inform the public of the danger and development of ASF. If ASF is detected at a farming household, the entire herd has to be disposed of within 24 hours after the announcement of the results. If the disease is detected at a large pig farming facility with sectioned barns, the infected barn will be culled. The entire facility must cull its pigs if signs of spread are found. Towns and wards with infected households will also be quarantined if needed. If pigs with symptoms are found within three kilometres, they have to be culled within 48 hours without the need for testing to prevent the spread of the disease. Transportation of pigs in and out of infected towns and wards is prohibited, and surrounding areas have to be closely monitored and sanitised. Authorities will compensate farmers for their loss of pigs. A representative from Boehringer Ingelheim, one of the world’s leading pharmaceutical companies, said that its Comprehensive Online Management Biosecurity Assessment Tool could be used to check a pig farm’s biosecurity level.